The University of North Carolina was the first public university in the nation. In 1789, William Richardson Davie wrote the act that established the University. In 1793, he and fellow trustees laid the cornerstone of the first building, Old East. Students arrived in 1795, and UNC became the only public university to award degrees in the 18th century. In 1922, the Association of American Universities (AAU) admitted UNC as a member, an acknowledgement of its growth in research and graduate programs. In 1931, the North Carolina General Assembly established a Consolidated University comprised of the Chapel Hill campus, Woman’s College at Greensboro and North Carolina State College at Raleigh. In 1972, it created the UNC system, joining 16 state colleges and universities under a president and board of governors. The Carolina Story and History on the Hill. One of the top questions about Carolina and its history is: What’s a Tar Heel? 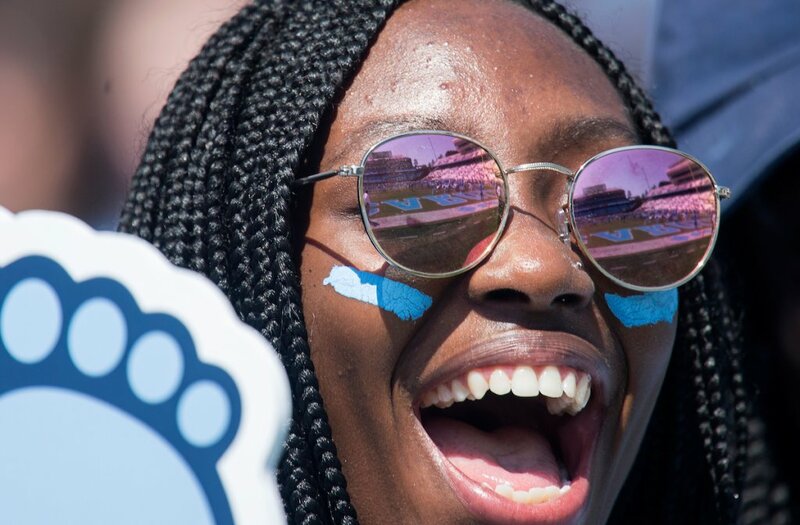 Learn how the nickname originated in North Carolina and became associated with the University’s varsity athletics teams. Many legends and good luck omens have become popular lore at Carolina. Two of the most famous ones revolve around a poplar tree and a well. Read more on the Virtual Museum site. University Day is an occasion to remember the University’s past and celebrate its future. The date, October 12, marks the laying of the cornerstone of Old East, the institution’s first building and the oldest state university building in the nation. Read more at the University Day site. The UNC General Alumni Association invites folks to climb the Morehead-Patterson Bell Tower several times each year, including prior to home football gamesand during Senior Weekeach spring. A ram for a mascot?